Now that you understand how buyer and seller leads use Zillow, let’s focus on how you can get them to contact you. Luckily, one of the best ways to generate leads on Zillow is 100% free. It’s your Zillow profile page. Since they’re so prominently displayed on Zillow’s Agent Finder, you need to have a great headshot to entice leads to click on your profile. In order to get a great headshot, you need to send the right message. In the real estate industry, that message should be that you are Trustworthy, Competent, and Likable enough to help clients through one of the most difficult (and stressful) transactions of their lives. Here’s how to make sure your headshot sends the right message to your leads. According to a study published in the Journal of Personality and Social Psychology Bulletin, people who looked happier in headshots were viewed as more trustworthy. People in the study rated happy looking people and unhappy looking people as equally competent. However, when asked to choose which person they would hire as a financial advisor, they chose the happier looking person every time. 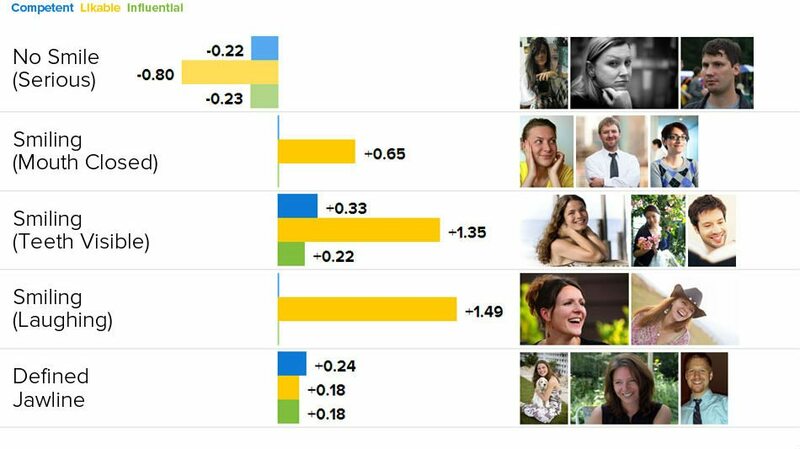 Studies from photofeeler.com came up with virtually identical results; people who smiled in their headshot were seen as far more likable and influential than those that didn’t, but only very slightly more competent. Also note that smiling with the teeth visible made people even more likable than smiling with a closed mouth. While there’s no science to back it up, a busy or very dark background can draw attention away from your face. Instead, choose an uncluttered and light background for your headshot. However, avoid using a plain white background as it can look a little bit less natural. A subtly blurred background works best. Check out the example below to see the difference. What else do you notice about these three headshots? Based on these pictures alone, who would you hire to help sell your home? As you may have noticed, the first headshot on the left here looks a little bit off kilter. The reason why is simple. Whoever cropped this picture did a bad job. Notice how both the pictures on the right look far more natural and less forced. Cutting off the top of your head, zooming in too much, or zooming out too much can all lead to an unnatural, unprofessional looking headshot. Instead, aim for a straight head and shoulders shot with a bit of room at the top and sides. Remember also that your headshot will be vignetted in a circle on Zillow. The headshot on the left simply won’t work. While your cousin Frank may have a nice camera, there is a reason David Lachapelle gets to photograph celebrities and world leaders while Frank is left taking pictures of the family reunion. Taking great looking portraits of people is simply not as easy as it looks. Instead, hire a professional with a proven track record to take your headshot. It may cost you a few hundred dollars, but since your headshot can last years, this is a worthwhile investment in your career. Click here for our guide on professional real estate pricing and where to hire one. While practicing your smile and pose in the mirror might feel a little odd, body language expert Patti Wood, MA, CSP, recommends practicing to find a pose that matches your personality. Practicing can make you feel more confident and natural on the day the shoot. Let’s face it. Being objective with our own picture does not come naturally to most people. That means getting a second opinion is very important. However, your friends and family might also have a hard time judging your headshot objectively. 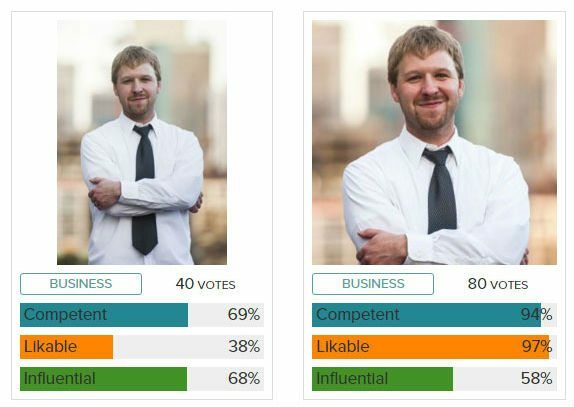 Instead, you can upload a few options to photofeeler.com where anonymous users will judge them based on whether you look competent, likable and influential. It’s not a perfect fit, but it comes pretty damn close to matching our criteria for a great headshot. After the headshot, the next most prominent element in the list of agents on Zillow’s Agent Finder or in the Zillow Premier Agent sidebar are your reviews. There’s a very good reason for this. When hiring a professional most consumers look for social proof that the person they’re considering is trustworthy, competent and likable enough to work with for the next few months. By default Zillow shows an average of your reviews from 1-5 stars. If you have a choice between an agent with 5 stars and a agent with 2 stars, I highly doubt most people would hesitate long choosing the person with five stars. Here’s how to get great reviews from your clients on Zillow. Even if you’re pretty new to the industry, you will probably have worked with people who would be happy to leave you a positive review on Zillow. Luckily, you don’t need to have closed a deal with someone to have them write you a review. To get the ball rolling, reach out to your current and former clients you feel you had a good relationship with and ask them to leave you a review. Since this is important for lead generation on Zillow, you should try and remind them of a positive experience you shared in order to get them thinking of what to write. For example, let’s say you had a client who had very difficult work schedule and you went out of your way to accommodate them for showings. You can mention this in your email in order to remind them of the value you added to their hunt. Most importantly, include a link to your Zillow Profile page that they can leave a review on in your email. Once you’ve built up a decent amount of reviews from current and former clients, you need to make sure to keep adding great reviews to your profile. Since Zillow sorts the agents listed in the Agent Finder partially by activity, regularly adding reviews will help your profile show up toward the top of the list. Here’s how to ensure you get a steady stream of great reviews from your sales pipeline. Even if they had a great experience working with you, most of your clients won’t go out of their way to review you on Zillow. In order to increase your number of reviews, make it easy for them. You can do this by leaving a link to your Zillow review page in your email signature, on marketing materials, or on your website. This way they will know reviews are important for your business and can leave a review with one click of the mouse instead of hunting down your profile page. Another great way to get reviews is to just ask for them. You can do this in person by reminding them how important reviews are to your business, or by sending them an email after you’ve closed a transaction with them. That said, anyone on Zillow can leave you a positive review. Closing a deal is not a prerequisite. That means current clients, former clients or even rental clients can be great sources of reviews. Unless you never make mistakes or work with anyone who has unreasonable demands, chances are you may have a few negative reviews on Zillow. This will drag down your average reviews and might throw your positive reviews into questions. That means you need to deal with negative reviews as soon as possible. Here’s how. While they might decide the review is valid, they might also decide to trash it. While Zillow doesn’t publicize their criteria for removing reviews, they do have a dedicated moderation team who looks them over before they’re published on Zillow. Sometimes people leave bad reviews based off misunderstandings, or because they simply haven’t considered you side of the story. Reach out to the reviewer to see if you can resolve the issue for them. However, DO NOT engage them in arguments. Explain your side of the story patiently and calmly, and apologize if you know you were in the wrong. Users can then delete, edit, or add a new review. 3. Write a response to the review on Zillow. If the Zillow moderation team or personal outreach doesn’t help, your next step dealing with a negative review should be to respond to the review on Zillow. Simply write out an explanation of your side of the story and post it in response to the bad review on Zillow. Like with your outreach effort, DO NOT engage them in arguments, or be negative in any way. Remember, people are deciding whether or not to work with you. Conflict resolution skills are important in real estate. Make sure your response is fair, apologetic if necessary, and explains your perspective on the problem. Let’s face it. On a page with a wall of text and pictures, a video with a play button is going to get the most clicks. After all, people checking out your profile are trying to get to know you. A video is the closest approximation of what it would be like to meet someone. That makes your introduction video important enough to take as seriously (or more seriously) than your headshot. Here’s how to make and engaging introduction video that converts visitors into leads. Since real estate is based primarily on relationships, you need to keep your introduction video friendly, yet professional. They should walk away from the video knowing a bit about your professional experience, your approach to real estate as well as something about your personality. While many people associate reading a script with stiff, awkward, boring videos, remember that every great movie, binge worthy television show, or moving speech was based on a script. Write out a script for your introduction video and make sure to practice it by reading it out loud until it flows and sounds natural. This is harder than it seems, so be sure to give yourself enough time to work on it. Even if your marketing budget is stretched to the max, hiring a professional videographer to shoot your introduction video can have a great return on investment. After all, this could be one of the main things a lead uses to decide whether or not to call you. If you do choose to go the DIY route, make sure you have access to a great camera (DSLR with video at least), a tripod or stabilizer, as well as a way to properly record sound. This is a big one. Since people are focusing on your words, a shoddy recording can make the whole video seem amateurish and cheap. If you can’t make a simple video look good, how can you make their listing look good? Today’s homeowners expect video to be used to market their property. Want to see how amazing a professionally shot, friendly yet professional, and well scripted video looks? Check out Realtor Chip James’ introduction video here. Would you hire Chip? While somewhat less important than your headshot or reviews, your number of past deals can still have a huge impact on how many leads you get from ZIllow. First of all, having deals in a lead’s neighborhood means your profile will show up higher in their search results on Zillow’s Agent Finder. Secondly, when vetting Premier Agents to contact, the number of closed deals is listed along with your reviews. Luckily, claiming your past deals on Zillow is easy. Login to your Zillow account. From the title bar, click on Agent Hub. Next go to your Profile. If you scroll down the page there will be a section for “Past Sales.” Simply click on the “Add Past Sales” link and get busy. The program will ask you whether you represented the seller or the buyer, sale date, and purchase price. 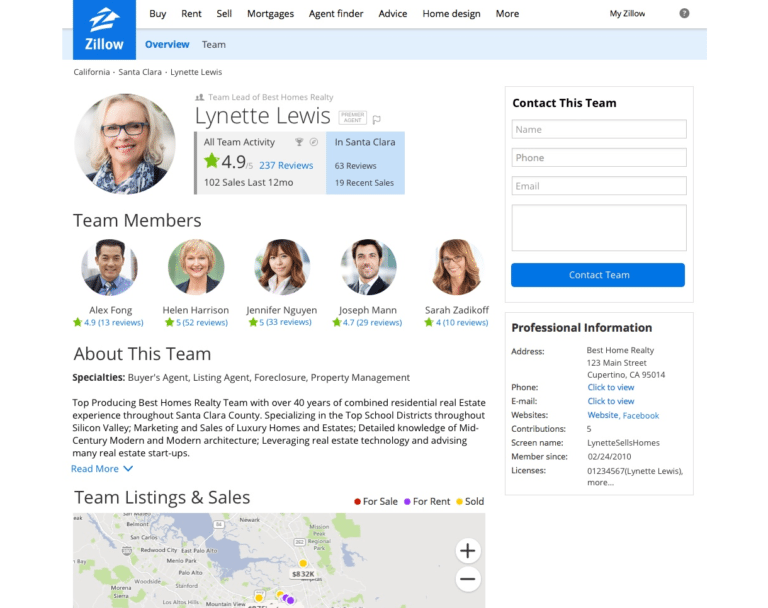 If you’re on a team, creating a Zillow profile for your team is a must. The first reason should be obvious. You worked hard building your team’s brand so promoting it on Zillow makes sense. There is another even better benefit to creating a team profile on Zillow. Each member of the team shares the entire team’s closed deals and ratings. That means if your team closed 100 deals combined last year but you only closed 10, your Zillow Premier Agent ads will show your headshot, reviews, and 100 closed deals! If you join Zillow Premier Agent, you can get more great benefits for your team including Phone Lead Broadcast, which rings everyone on your team when a lead calls a main number. Whoever answers first gets the lead. Even better, you can set this up for different agents in different zip codes, or by price range or other criteria. Since Zillow Profiles are free, spending the time and effort to get a great headshot, get reviews from former clients, and enter your past sales can help you generate leads for free on Zillow’s Agent Finder. A great profile will also help generate more leads using Zillow’s paid advertising options. In the next chapter of the course, you’ll learn how to leverage your listings to triple your views and capture more leads.